Located just outside of Miami, Vi at Aventura includes a mix of individual apartments for assisted living and memory care. After 15 years, it was starting to show its age. “It was still in good shape, but when carpeting hasn’t been replaced for a number of years, you start getting wear patterns. Couches and chairs don’t look as fresh and crisp,” said Gary Smith, CFO at Vi. The company spent $5 million to upgrade the property. All of the common areas received fresh paint, new furnishings, and similar enhancements. “It’s a benefit to our current residents and it also speaks to our prospects, who have certain expectations about things like finish. We want to meet their expectations as well,” Smith said. 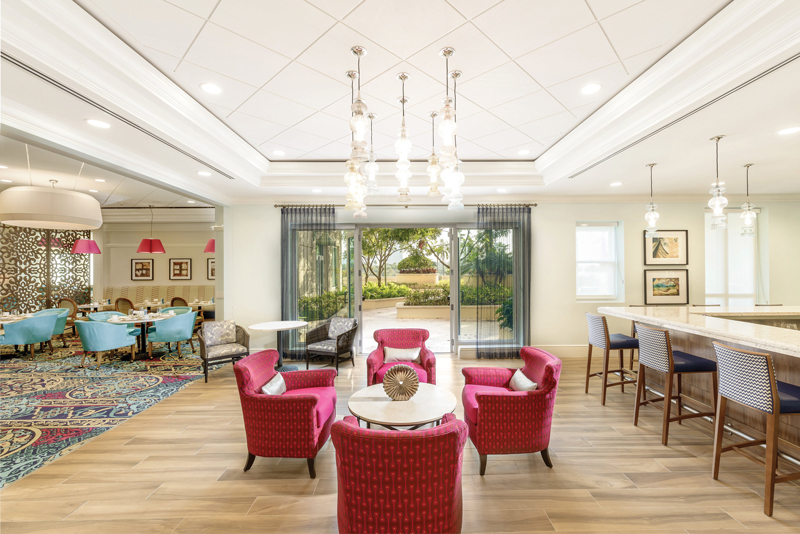 With many senior living communities edging toward 15, 20, or 30 years of age, operators are putting a range of capital expenditure, or capex, projects into play. With pressure on to renew and refresh, questions arise: Which projects take precedence? How best to prioritize capex? Who gets a say in the process, and what is the executive director’s role? In this article we’ll start by looking at some of the most common triggers for capital investments, and then dive into questions of process and prioritization. Consider the four most common triggers for a capex project: The refresh, the urgent situation, improved space utilization, and the competitive landscape. The public-space refresh, typically the most common renovation in a senior living community, doesn’t strictly need to be a capex project. It’s possible, of course, to do the carpets one year, furniture the next. Most operators, though, say it makes sense to take a bigger bite. While most operators would prefer to schedule capex work in cycles, urgent situations sometimes arise that bring a property to the front of the queue. This kind of spending can wreak havoc on capex budgets. “The planned projects are the easiest because they are finite and you can estimate the cost. The hardest part of capex is the unexpected need, the AC unit that goes out, the boiler that goes out, the major repair that you weren’t expecting,” Lessard said. Senior living executives have learned to expect the unexpected and to build in failsafe mechanisms. “We allocate dollars to an ‘unplanned budget’ so that we have some reserve to be able to take care of those things. But then you have to check in constantly throughout the year to see how quickly you are spending that down. If you are spending that faster than expected, it may mean that you put some planned projects on hold. So, there’s a balance there,” Lessard said. Sometimes a community will take on a major project not in order to dress up an existing space, but rather to reshape that space for some higher and better use. In 2016, Vi completed an $80-90 million upgrade of a Naples, Fla. community. In addition to creating a new sales center, the project replaced standalone independent living with an independent living building attached to a clubhouse, which marked the first time the company had ever sought to pair those two uses. At Belmont Village, Lessard has been pursuing a similar course, dramatically reshaping existing spaces to better accommodate residents’ evolving tastes and needs. “We call them ‘community refreshes’ but they are more than just a refresh, more than just carpet paint and furniture,” he said. “We’ve had spaces dedicated to be ‘computer rooms’ and now seniors have their own iPads, so in some communities we’ve combined the computer room with a bistro to make it more like a little coffee shop, and then converted the remaining space to more of a multi-purpose activity space,” he said. A $5 million upgrade to Vi at Aventura was recently completed, marking a refresh of the 15-year-old community. For most senior living operators, the emerging competitive landscape is an ever-present consideration, driving not only short-term marketing decisions but also long-term capex plans. There’s pressure to stay current, to offer a look and feel that is not only comfortable and functional, but also on par with the latest offerings. There’s a tricky balance involved here. On the one hand there is surely a need to stay current with what others are doing. At the same time, senior living executives say they are eager to chart their own course, to build a business model around their own ideas of service and comfort. “We believe that if we are keeping up with our own standards, we shouldn’t have to worry about the competition. If we are putting the residents first and have a high standard for them, we will already be at or better than new competitors,” Warren said. At Belmont Village, executives say they tread the same fine line, seeking to balance perceived internal need against external competitive pressures. While these diverse factors all help to shape a capex strategy, there’s another principle at play that also carries weight. In the vernacular: Money talks. While it isn’t always possible to chart a direct and measurable return on investment around capex efforts, ROI can be and often is a determining consideration. 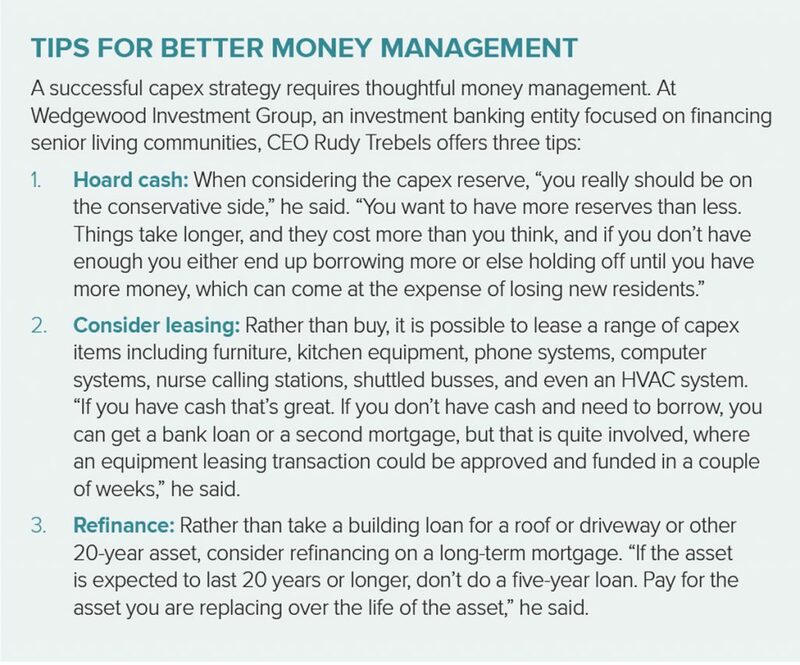 By definition, capex is capital-intensive: The need for ongoing refurbishments means that senior living executives must regularly build a capex reserve into the annual budget. 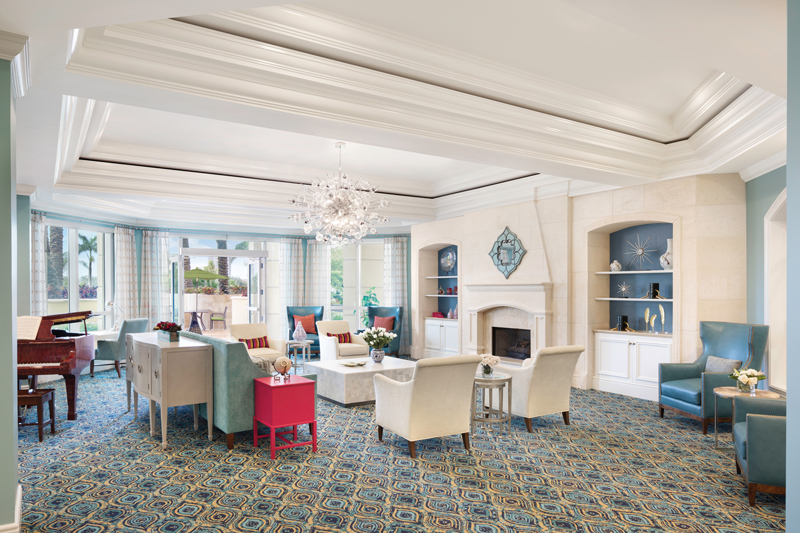 Across senior living, this reserve typically runs between $250 and $500 per bed per year, said Rudy Trebels, CEO of Wedgewood Investment Group, an investment banking entity focused on financing senior living communities. That’s a weighty sum, and yet senior living executives often will be hard-pressed to put a number on the payback for a capital investment project. If the aim is just to refresh stale spaces, to sharpen up the décor in order to keep pace with changing tastes, it can be hard to say how much exactly that contributes to the bottom line. Sometimes, though, ROI is measurable and verifiable. Smith’s best guide for making the call: Look at competing projects nearby. “If your project is comparable or superior, that gives you confidence that you could also be successful,” he said. At the end of the day, though, ROI is only one variable in the complex capex equation. Since capex isn’t always undertaken with a direct financial payback in mind, several other factors also go into the mix. In most senior living operations, a whole host of players will contribute to that discussion, with the executive director playing a critical role in shaping the conversation and ultimately organizing priorities. While a variety of regional and corporate executives typically will help to shape the capex strategy, it is the executive director who often stands on the front lines, offering a firsthand view of a community’s needs and challenges. Marty Jensen is the executive director at Wyndemere, an LCS community in Wheaton, Ill., offering 237 independent living residences, 65 for assisted living, 12 for memory care, and 115 skilled nursing units—comprising about 460 residents and 400 staff, all told. 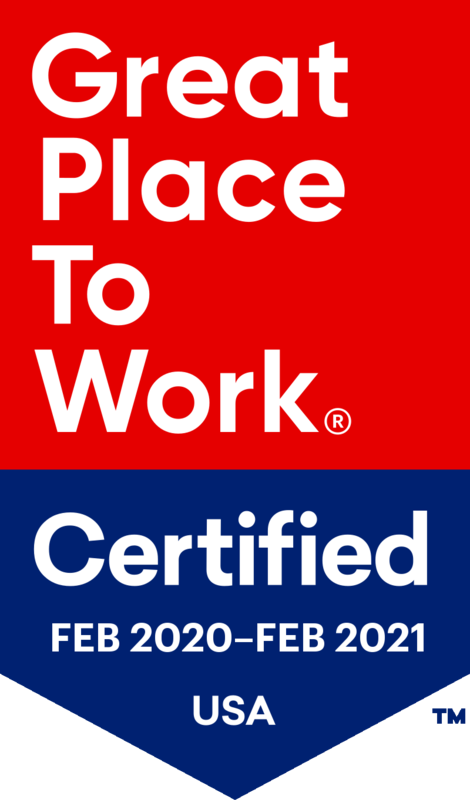 Over the past three years the company has replaced office and storage space with memory care in a $1.2 million project, and is currently in the midst of a $3.2 million renovation that includes an overhaul of the existing health center. In conversations with corporate leadership, Jensen advocated strongly for the memory care expansion. “We were already providing that level of service but not always in the most advantageous ways. We would try to manage someone at an assisted living center, or we might even have to send them out to another community. So, we really needed the ability to support those residents in-house,” he said. He focused on the health center in part because it was the oldest part of the campus, and also because of the nature of the resident experience in this higher-acuity space. “You have someone in the room who doesn’t come out very often, perhaps, so we want to make that living space as nice as possible,” he said. Executives at the corporate level say this kind of guidance from the community executive director is crucial in helping them to establish priorities. It’s expected that executive directors will advocate for the needs of their own communities, and corporate leadership relies on them to help prioritize needs. At the same time, corporate executives look to executive directors to offer a balanced view, to look at more than just the frayed carpet and fading paint. That big-picture thinking is something executive directors are uniquely poised to offer, as they are able to view the ongoing and evolving needs of their communities over time. Experts say that while an executive director’s input is a vital first step, it should be only a starting point—that the capex analysis ultimately needs to go broader and deeper. If your $200 million community were a $200 million aircraft, you wouldn’t have the pilot working on the engine: You’d have a team of highly skilled technicians and mechanics, said John zumBrunnen, founder of senior living consultancy zumBrunnen. In much the same way, the executive director’s guidance on capex should feed a more thoughtful and complex analysis. By gathering the input from multiple executive directors for an across-the-board look, a senior living company can realize substantial savings over time. “If this property needs a new roof next year and this other property needs a smaller roof repair, maybe I can wrap all those projects together and get a better price, rather than having the individual community directors negotiating separate deals,” zumBrunnen said.